In the proto-internet era of the mid-1990’s, the market research community was quick to catch on to the opportunities presented by online research. I vividly remember the moment in late 1996, when my team at Ipsos (I spent my apprentice years there) was abuzz with setting up an online agency overnight. Business plans were developed, top execs got involved, and early retirement felt mere minutes away. Cut to five years later, roundabout 9/11. Status quo: clients are still feeling awkward about researchers not meeting respondents face to face (or at least over the phone), and unwilling to be pioneers in taking that lunge. They still seriously question the validity of any and all online methods (just as they should have done with the integrity of survey interviewers all along, but never mind). Top execs long since gone from the room, as are the plans for investment and hopes for instant rewards. CATI (Computer Assisted Telephone Interviews) is in good shape but CAWI (Computer Assisted Web Interviews) is just starting, and online groups are nowhere in sight. As a research method, online quantitative eventually did manage to deliver on the promise of technology with superior convenience and speed, at comparable or even slightly lower prices. It truly came into its own around 2004, with pen and paper surveys all but disappearing and online panels mushrooming in a matter of months. As an aside, the aforementioned survey interviewers as a species suddenly found themselves without a natural habitat. Online quant respondent penetration has also matured. With the breadth and depth of internet access rapidly rising, online surveys are now feasible in most target audiences that matter to client corporations across the globe. Most healthcare professionals are adept and well-connected internet users. Patients less so, but still, only the age groups above 70, and niche populations living in weird backwaters or developing countries are under-represented or excluded from samples. That said, I have yet to meet the pharma client who insists on having the opinions polled of individuals whose treating physicians have had zero sales rep visits within the past 5 years. Coca-Cola’s mission statement says they want to refresh the whole world, by bringing their beverages within arm’s reach of every single individual on the planet. The same ambition cannot be said to characterise online market research. So, online quant has been satisfactorily put to bed, and the heavy reliance on its outputs reflects that consensus. To this day however, there is a great deal of client reticence when it comes to online qualitative. Web focus group technology has been around for over ten years and yet, when I speak to clients, they tend to be more interested in buying brilliant qualitative research professionals than snazzy new online qual technology. Their argument is that group dynamics and moderator-respondent rapport are key to having a good conversation, both of which are difficult to achieve in a virtual setting. Although I agree with only the first half of this sentiment, I have gradually come to accept that we may need another few years before ‘conservative’ pharma warms to the virtual qual group. But using some of the other online qual tools can still make sense, and for more reasons than just for the sake of appearing to be ‘cutting edge’. In what follows, I have tried to give an idea of a few methodologies worth considering, even if the expressions online and group discussion feel like apparent contradictions. There are several online qual methods that don’t rely on real-time group dynamics and moderation. These will be familiar to you because you have seen similar things happening elsewhere in cyberspace. I am referring to the research blog, the online panel and the online community. Research blogs, or online diaries are individual accounts of a person’s day to day life. They require little more than an initial set of instructions and an appropriate incentive, and potentially yield an amazingly colourful result. Bandwith has now surpassed the threshold needed for audio-visual uploads, and the evidence suggests that respondents love to strut their stuff when it comes to online diaries. The key word here is confidentiality. Once people feel reassured about the private nature of the exchange across such a notoriously public medium, they tend to inundate us with video snippetts, photos, scanned images, internet downloads and text. The challenge is not how to obtain rich data, but how to sift through it all, and make sense of the richness that is presented. A good example of when to deploy a research blog is if we want to document what patients are up to, e.g. right after discharge from hospital, or around a therapeutic switch. Importantly, diaries are the dead-easy option for accessing rare and/or geographically disparate target audiences, and are quite capable of replacing expensive face to face visits involving several geographies over several days. Also, blogs don’t need a uniform fieldwork date, thus circumventing such issues as time-lag between respondents performing the actions we wish to observe. Online panels are like the web forums you have doubtlessly encountered on social networking sites. They typically involve a small group of up to a few dozen people, all of whom have an angle on the topic at hand. Respondents could be homogeneous groups of healthcare professionals, patients, etc. or a mixture of several types of individuals. Panels last a couple of weeks and are loosely moderated by a researcher, usually starting with a brief description of the objectives, the tasks and the areas of discussion. As a moderator, I would then periodically propose a new area of discussion to the group, maybe three times a week. This (and the email reminder about the new topic) should keep everyone interested and involved. Well, almost everyone. Attrition rates tend to vary between 25% and 40% over the course of the two weeks, and for this reason, panels do need to be over-recruited. But there are several important upsides. First of all, respondents are able to fire back their thoughts in their own time, as well as write a considered response rather than just a first reaction. Some would argue this may actually be a disadvantage, should people hedge their bets and edit out their genuine thoughts, but again, what we actually tend to see is more open responses than in the case of face-to-face interviewing. Somehow, perched in front of their PCs, people tend to feel safer to voice quite strong opinions without the risk of losing face. They also enjoy reading and responding to other people’s reactions, and end up spending more time on the panel than originally solicited. Clients, although unable to participate directly for confidentiality reasons, can observe the panel and easily signal the moderator to throw in additional questions as needed. And the beauty of the setup is that all the while, the client may be logging in from Indianapolis, the respondents from rural Germany, and the moderator from Canary Wharf. Think about the implications for your carbon footprint and smile. As for the outputs themselves, they are quite stunning. The average panel will yield over a hundred pages packed full of distilled transcript, which is the equivalent of 5 focus group sessions lasting 2 hours each. Also, the fact that respondents type rather than talk means one has access to instant transcripts, and even interim transcripts, available for viewing as the research progresses. As a result of this abundance of text, we have also come up with a new reporting method, something we call the book of quotes. This, in addition to the usual qualitative analysis, provides clients with a punchy weapon when it comes to convincing top managers, sales reps as well as customers. Online communities are the last of the three tools I would like to mention. They are, essentially, a cross between quant and qual, in a sense that they involve anywhere between 150 and 10,000 respondents, but that the method of engagement is still continuous moderation. Such communities are longitudinal in nature, and exist to respond to a wide range of client questions, often for more than one client. To remain vigorous, they need regular weeding and replanting, and eventually tend to evolve into a series of smaller sub-communities such as GPs and various groups of specialists. The catch about such communities is that they require copious IT infrastructure and support, and as such, represent a new business model for research consultancies. Some have already seen the benefit of investing, whilst others are waiting for increased demand before they commit (and sub-contract to the daring pioneers in the meantime). This is it, really, except for the most important question: how do these online qual tools translate into practice? So in the second part of this feature, I will talk more specifically about a project where online qual was the best (and arguably the only feasible) tool in the box. Watch this space! In the meantime, if we just close our eyes and breath deeply for a few seconds, we should be able to imagine things like Tweet Research. Add to that Tag Cloud Diaries and Virtual Vox Pops (I’ve just made these up), and you have a whole new suite of research tools for the 21st century. pharmaphorum.com is another case in point. 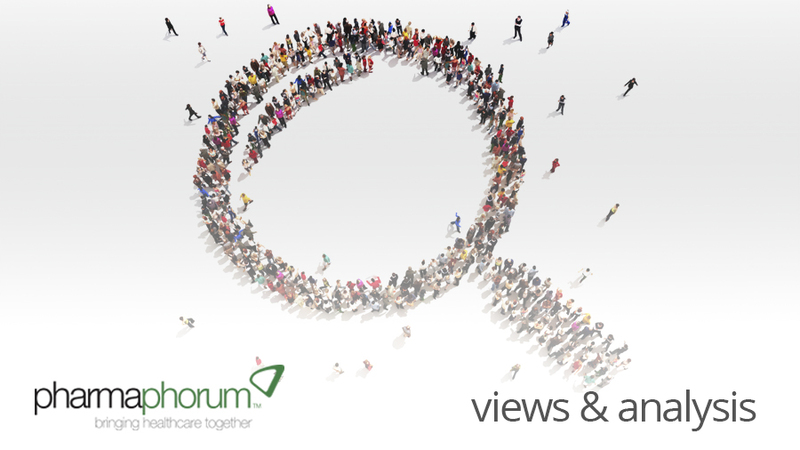 There is clearly value in coming together virtually for pharma professionals – otherwise you wouldn’t be reading this. So why not bring that knowledge to bear when it comes to qual market research? Bors Hulesch is a Marketing Sciences Consultant at The MSI Consultancy, based in the UK. For enquiries in relation to this article, he can be reached on bhulesch@msi.co.uk or call +44 (0)7889 117789. Please keep your eyes open for the second part of this article in November!